Leaky Shed Studio: Leaky Shed Studio Nutting Dolls- Day Two! Welcome to day 2 of the Nutting Dolls!! 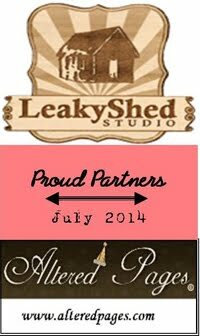 This is Debbie and I'm so excited to share my first Leaky Shed Studio projects with you today!! Everyone knows that the Nutting Dolls are all the rage these days and after playing with these I can understand why!! It's like playing with paper dolls again!! My first instinct was to make paper dresses but I ended up with the paint brush and some mixed media tags. There are so many possibilities with these little chipboard dolls. They come in 2 different sizes 4" and 8". 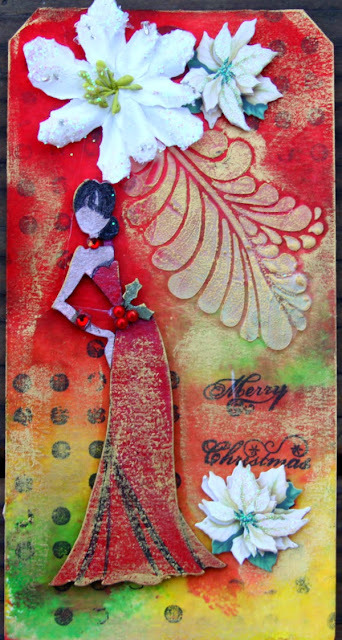 For this first tag I painted her dress red and then highlighted with black and finger rubbed the gold to give it a little sparkle. I added some jewels to her belt and bracelet. 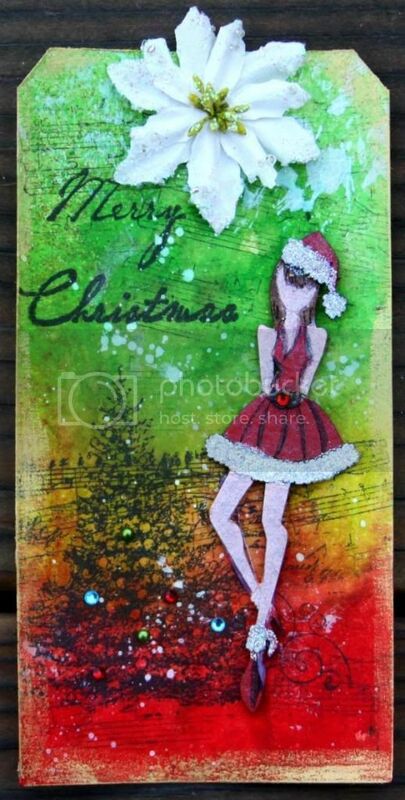 The background tag is sprayed with Dylusions and then I added a little stamping, some modeling creme and some Inka to highlight everything. My next tag is a Christmas tag also. It's a little different although it's mostly mixed media also. I added a little glitter to her hat and skirt and ankle cuffs. I added some jewels to the stamped tree and to her belt. Although Halloween is past I couldn't help but do this next doll! She was just too fun to wait another year to pass.I used several of the same techniques to finish this doll. I had so much playing with these cute chipboard dolls! I will be showing you a few more soon! Weeee! 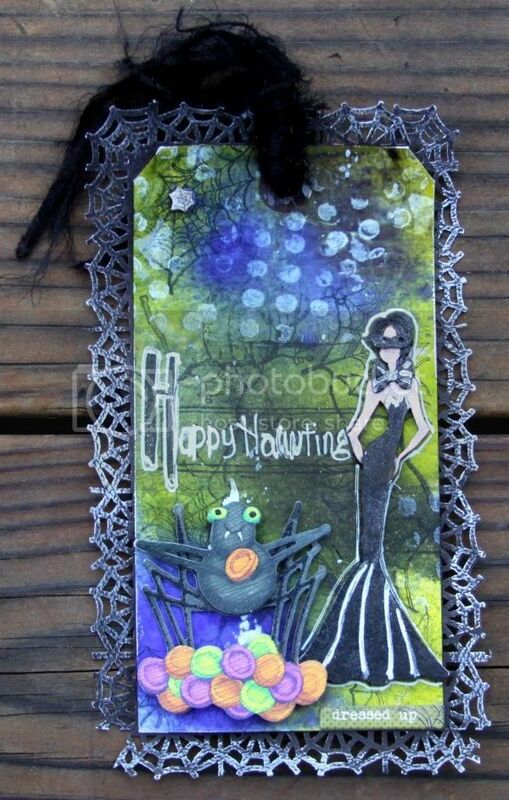 Those are such pretty and fun tags and those Julie dollies are just the BEST!! I am loving all the variety of these dolls!